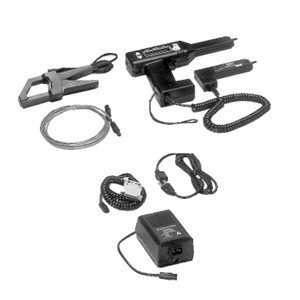 The BITE Receiver is a direct replacement for the standard receiver supplied with the original BITE. It provides data storage capabilities without having to replace the BITE transmitter. The receiver incorporates the potential leads, clamp-on current sensor, and data storage capabilities in one unit. The unit stores more than 2000 sets of data (cell impedance, cell voltage and interconnecting strap resistance). At any time during a test, the operator can review the current test results by using arrow keys and scrolling back through the active test screen. If needed, the operator can retest any of the cells and straps in the current test. Stored data also can be downloaded via the RS-232 connector directly to a personal computer.